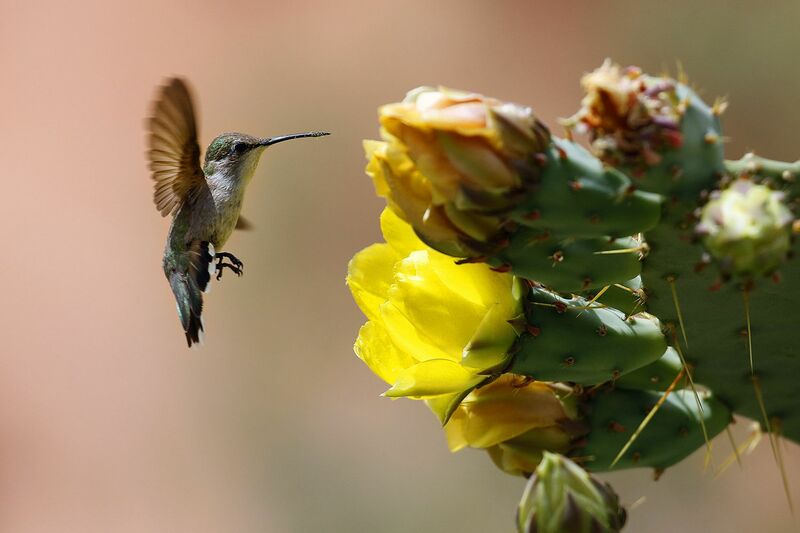 I took this image of a Hummingbird feeding on a desert cactus, or prickly pear, at Valley of Fire State Park in Nevada. I chased it for a good half hour before I got the shot I wanted, but as it was in over 100 degree heat, you can imagine the state I was in. I was realy happy with the outcome as they are pesky little things to photograph as they can beat their wings at over 70 beats per second. You need a fast shutter speed!